Are you looking for the best place to get work on your brakes done? 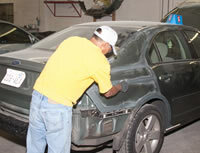 Look no further than Lakewood Auto Body. We are a premier auto brake repair shop serving the residents of South Hill, WA, and its surrounding areas. We understand how important brakes are to ensuring a safe and reliable drive. As a leading auto brake repair shop, we help South Hill clients restore the safety and reliability of their brakes. Regardless of the make or model of your vehicle, count on us to get your brakes repaired quickly and efficiently. Our mechanics thoroughly assess the problem and carefully determine the right repair methods. Using the most advanced tools and technology, we repair brakes to the highest professional standards. If your brakes are not working properly, you must take your vehicle to our auto brake repair shop in the South Hill area. Timely and professional repairs are essential to ensuring the safety of you, your passengers and others on the road. Whether you drive a car, SUV or a truck, we are your go-to shop for repairing brakes. We pride ourselves on providing top quality repair services at fair, reasonable rates. We truly care about our customer’s experience with us. Our entire staff works hard to make the entire process as fast and stress-free as possible. Your brakes are one of the most crucial components of your vehicle. Well-functioning brakes are essential to bringing your vehicle to a complete halt. If you are experiencing brake problems, seek timely, professional assistance. We have the experience and equipment needed to repair brakes. 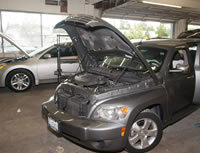 Lakewood Auto Body is your premier auto brake repair shop serving South Hill community. For any questions or appointments, call us at (253) 581-0220.